A combination of cardio, strength training, and Pilates - our classes will strengthen, lengthen, and tone your body like no other workout! 40 minutes of heart pumping, muscle quivering, body strengthening moves on the Proformer set to fun, motivating music to keep you working hard! Pilates Evolution is a NEW EVOLUTION of Pilates that includes effective intensity, cardio and endurance training, which are key elements in improving your body composition. Perfect for men and women of all age groups, Pilates Evolution is the key to your year round beach body. Classes are challenging. Private sessions are recommended for beginners and anyone with an injury. 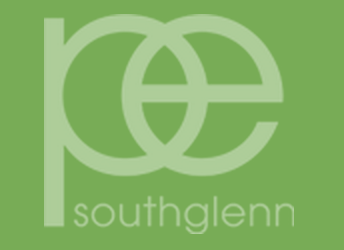 There are no upcoming “Pilates Evolution Southglenn 40” classes on this day. Just love her classes! Never disappoints! studio was cute and welcoming! Class was average difficulty in comparison to other Pilates classes. Sara Beth has a great attitude and positive energy, the workout was hard and I’m sore but I’ll be back! Very challenging and intense! The reps are very slow and deliberate and you get a great full body workout. Sara was great about counting out loud so you know the pace and physically correcting to make sure you’re using proper form. Prior Pilates experience helps, and I wouldn’t recommend this for beginners. Will definitely be back! Sami was awesome and really encouraged us the whole time! Feeling pretty sore today in areas I didn’t realize I would be sore in.